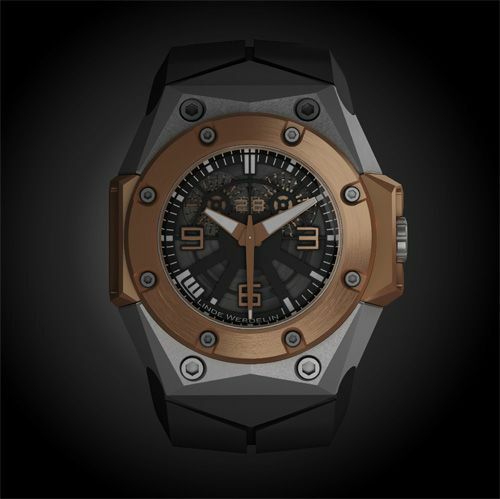 Every year, Linde Werdelin manages to introduce a new interesting timepiece during the BaselWorld exhibition. Quite an accomplishment for such a small brand and definitely something to be proud of. 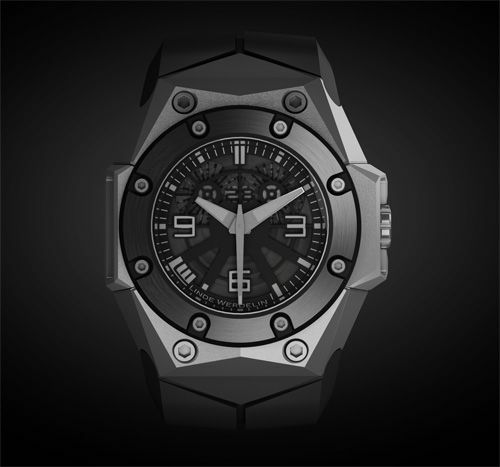 This year, LW will be introducing a new version of their diver’s watch, the Oktopus. In the past, I have tried an Oktopus and was pleasantly surprised by it since my personal preference is not with diver’s watches. LW had the Oktopus with Diamond-Like-Carbon [DLC] finish an Oktopus with out-of-this-world Tattoo engravings in the case and an Oktopus Moonphase. This year, LW went back to the drawing table and used the experience they’ve gained with regards to their diving watches and instruments during the last couple of years to design and develop the Oktopus II. The result is a professional diver’s watch, with a complex constructed case that consists of 5 parts basically, 1 for the movement and dial, 2 to hold the instrument and 2 to attach the strap. LW travelled a long way ever since their Biformeter and are now at the point of spending a lot of effort in creating those perfect complex watch cases. Most recent examples were the SpidoLite II and the SpidoSpeed Chronograph, which we both reviewed here and here. With regards to designing and constructing a diving watch, most important aspect of it is to keep the movement safe from water damage. To prevent this from happening, the case construction and crown construction must be absolutely secure against moisture and dust. Also, LW decided to use gold, titanium and ceramics to prevent salt water from causing corrosion on your Oktopus II watch. No diver’s bezel on this watch? No. Under water, you use this watch merely as a ‘host’ for the Reef instrument which can be added on top of the Oktopus II case. It snaps on perfectly and the comfortable rubber strap keeps the watch in place on your wrist. Above the surface, the Reef instrument can be removed and what’s left is this great mechanical timepiece from Linde Werdelin. So, in short, this means that LW did not have to take into account that a watch should be perfectly readable below the surface, having a unidirectional rotating bezel or prevent the use of certain colors on the dial. No concessions have been made or whatsoever, just use the Reef. One of the great details I like so much about this LW Oktopus II is the Rolex Explorer-like 9, 3 and 6 numerals on the dial. It nods to the classic 36mm timepiece without having any more similarities with other ‘classic’ timepieces. LW just combined this classic detail with modern Danish design and it is a perfect fit. Another cool feature is the big date at 12 o’clock. No ugly white date wheel, but completely blending in with the Oktopus dial elements. Talking oktopus, did you notice the oktopus on the [partly] skeletonized dial? 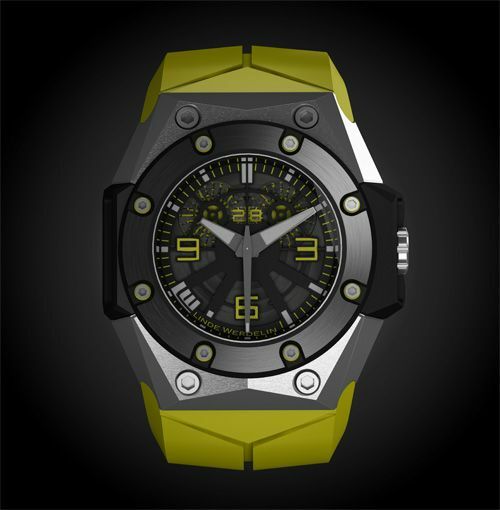 Can’t wait to see this new LW timepiece in Basel this coming week. We will make sure to have some live picture on-line by Friday. There will be three variations of the Oktopus II, each restricted to 88 pieces only. One in titanium/ceramic (Price CHF 8800,-), one in titanium/titanium DLC/ceramics (CHF 9400,-) and last but certainly not least, one in rose gold and titanium (CHF 18500,-) . The latter one is a combination we’ve seen in the past on the Omega Seamaster Professional Chronograph 300m which was very popular back then (1990s) and still fetches lots of money in the pre-owned market. Although LW has clearly chosen to put most effort in the case and dial construction, they used quite a nice movement for the Oktopus II. Their calibre 14580 is custom-made together with Dubois Depraz, renown for their solid add-on modules.